"Protect your Android from unwanted virus threats!" 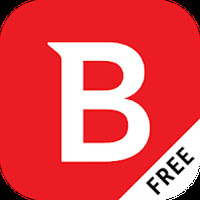 App description: A free, easy-to-use antivirus application for your Android smartphone or tablet. Functions: It scans Android for malware, viruses, spyware, and other dangers, consumes few resources, automatically scans applications before installation, etc. Controls: Just tap the center button to start scanning your Android phone or tablet. Developer: Bitdefender is based in United States	- TOP Developer: Trusted, high-quality developer. Installation requirements: A minimum of 8,7M of free memory space and Android 2.3.3 or higher. Light, simple, fast and functional. Do you like Bitdefender Antivirus Free?